This chapter briefly presents an overview of the sub-Saharan African region. An understanding of the challenges and potential of this region could help to have a better grasp of the importance of this book and its call for a framework to spur economic development and growth. 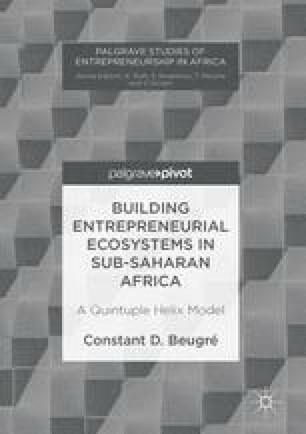 The chapter uses the PEST model to underline the importance of the institutional environment (economic, political, social, and technological) in the development of entrepreneurial ecosystems in sub-Saharan Africa. The chapter also uses the rankings of the Ease of Doing Business Report and the Economic Freedom Index to assess the business environment of sub-Saharan African countries. Before discussing the development of entrepreneurial ecosystems, I briefly present an overview of the sub-Saharan African region. Index of Economic Freedom. (2016). http://www.heritage.org/index/ranking.